Ahead of the 2018 season, Longmuir joined the Magpies in the role of assistant coach, specialising in backline and team defence. It's a craft he's honed during a playing and coaching career spent predominelty in Western Australia. Originally from West Perth, Longmuir was drafted by Fremantle with pick two in the 1998 National Draft. He debuted against Geelong in the final round of the 1999 home and away season and went on to play 138 games for the Dockers in a playing career which spanned nine years. A key forward/ruck, Longmuir's career highlight arguably came in 2005, when he kicked a goal after the siren to beat St Kilda at Subiaco. After a knee-injury prematurely ended his playing career, Longmuir turned his attention to coaching. He begun as a development coach at Fremantle in 2010, before switching to West Coast and spending seven years as a development, and then senior assistant coach. 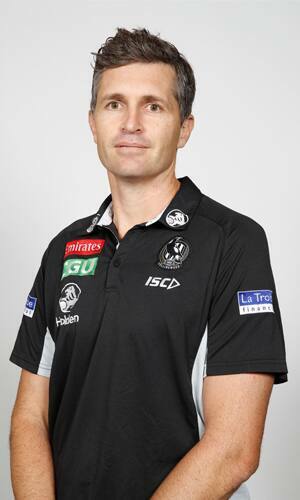 He brings to Collingwood a history of working with successful teams. West Coast reached the finals in five of Longmuir's seven years at the club.